There is no better time than the present to anoint another Independence Bank player of the week. Independence Bank is proud to sponsor a weekly article highlighting players in the areas where Independence Bank flourishes who embody the same type of revolutionary service to their respective football teams which has made Independence Bank unique and special in the banking industry. Independence Bank has a goal of achieving everyday excellence, and this week we are focusing on a player whose performance both has and continues to exceed both the Eagles’ and the Owensboro community’s expectations. 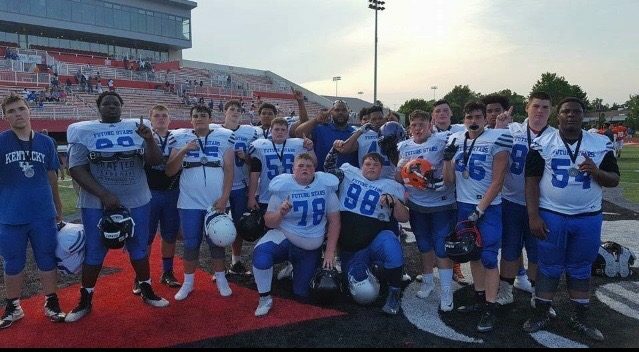 We are focusing on the class of 2019, QB, Colby Clark, from Owensboro, Kentucky, whose Owensboro Apollo High School is right down the road from 3 Independence Bank branches on 2425 Frederica Street, 2465 W. Parrish Avenue, and 3228 KY-54, respectively. Coming off a 7-4 campaign in 2017, no one will tell you, any faster than Coach Phillip Hawkins, that the 2018 campaign didn’t go anywhere close to as planned. 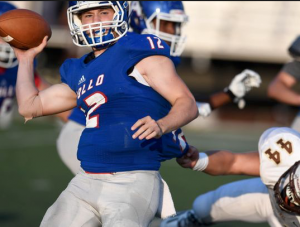 The Eagles got out of the gate well, winning its first four ball games, but coming down the stretch, losing 6 of your last 7 and finishing 5-6, wasn’t how anyone forecast Apollo would finish the 2018 football season the way it got out of the gate. 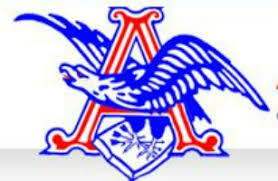 Apollo lost by 3 to Catholic and 4 to Christian County and, had those two games fallen differently, Apollo would have been right back at the 7-4 it finished a year ago. Football really is a game of inches as is commonly remarked. There were some very fine individual performances for the Eagles on the year. Not too many running backs, for instance, performed much better across western Kentucky than Apollo’s Mariano McKenzie who gained 1,337 yards rushing on the year, in only 179 carries (7.86 yards per carry), with 16 rushing TDs (stats through ten games as neither South Warren nor Apollo reported stats from its first round KHSAA playoff game to the KHSAA website). Colby Clark turned in a noteworthy, gutsy, and efficient performance this year too which we found worthy of recognition. Colby completed 127 of his 192 passing attempts on the year (.6614583 completion percentage) for 1,701 yards passing and 13 TDs versus only 6 interceptions. At 5-11 and 180 pounds, and in a game of inches as above noted, we would say this two sport star (Football & Basketball) gave his team every inch this season he could possibly muster. At both KPGFootball and Independence Bank, we just seem to admire people who are willing to give efforts like that! Congratulations to Colby Clark for his Revolutionary Play in 2018 which earned him this week’s recognition from the fastest growing bank in the Commonwealth of Kentucky…your friends at Independence Bank.